This teacup reminds me of Victorian Novels and movies. I just love it. 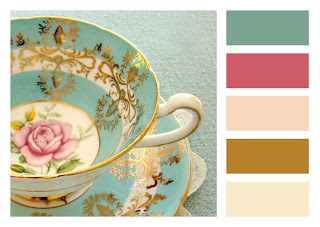 The picture is beautiful, the teacup is delicate and simply exquisite, the colors - my favorite. Enjoy your week and enjoy this color palette.